Babies learn through their experiences and senses. They love to touch, taste, and see exciting textures and colors as they try to understand the world around them. 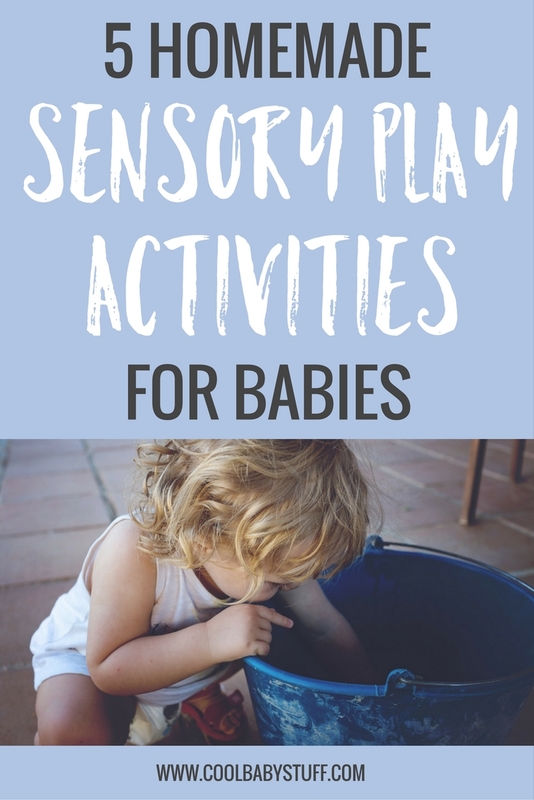 When you think of sensory play activities for babies, visions of huge, expensive activity boxes and a need for extreme creativity may jump into your mind. However, the great thing about sensory play activities for babies is that it can be just as educational even when it’s simple and cheap. 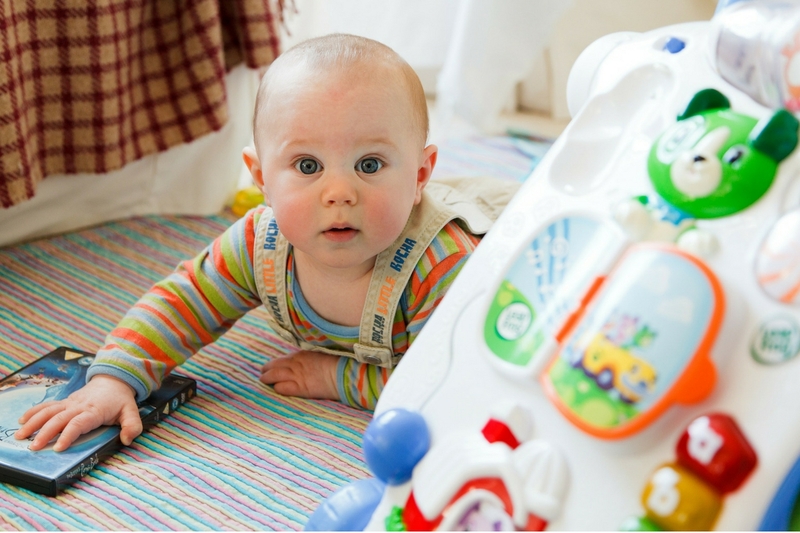 Here are a few ideas of some easy ways to encourage your baby to explore and learn using items that you already have in your home. Make sure you read this article for activities that will encourage your toddler’s language development. Cook some spaghetti noodles and place them in a plastic bowl or bin on the floor in front of your seated baby. Give them kitchen items like a whisk or a mixing bowl to play with in the noodles. You can also use foods like instant potato mix, jello, and coconut milk with cornstarch for coconut dough. Give baby a chance to show their artistic side by making edible paints. You can use yogurt or rice cereal as the base and add in food coloring. Place baby on top of the canvas of your choice- a tarp, pieces of paper taped together, an old sheet, or an empty inflatable pool. Then put your “paint” in front of baby and watch your little Picasso get to work! You can use empty plastic water bottles for sensory play. Fill them with different amounts of water and food coloring or fill them with sand. You can really fill them with anything- pebbles, rice, cereal, and paint! Just be sure to hot glue the cap on so that the contents don’t spill out while baby is having fun exploring. A sensory crawl is a fun way for baby to experience different textures as they move at their own pace. Simply lay down various materials on the floor- a fuzzy rug, a bamboo mat, a taped down paper bag, bubble wrap, etc. Place a few toys as incentives at the end of the trail, and let baby get a move on! Water is a lot of fun for babies and there are various ways to incorporate it into sensory play, especially for younger babies. Pour some water onto a cookie sheet and place baby on their tummy (you can use a boppy pillow if you want) right in front of it so that they can stick their hands in and splash around. You can also lay baby on their back so that their feet kick the water, or hold them in your lap and dangle their toes in it. 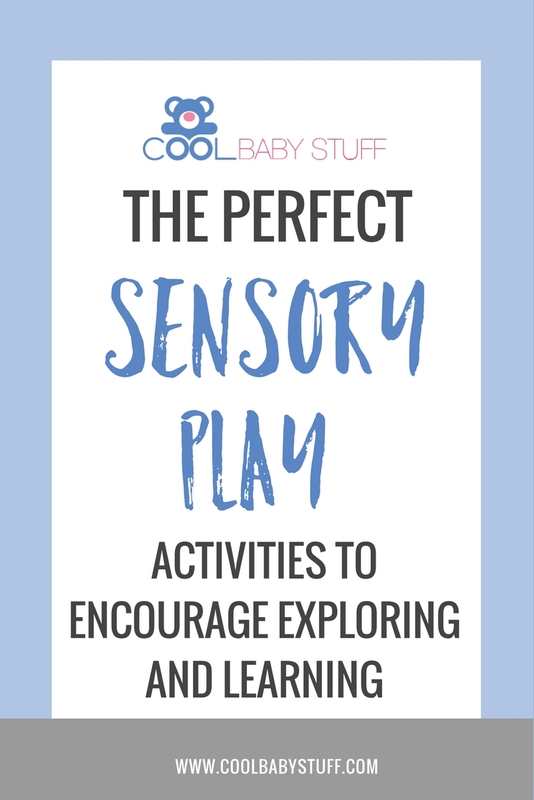 Now that you see how easy sensory play can be, get creative and come up with your own fun sensory play activities for babies. The look of wonder on your child’s face is priceless as you foster in them a love for learning that will last a lifetime!